After your elderly family member is diagnosed with Alzheimer’s disease, you might notice that some of her behavior changes. Much of the changes that involve her emotional response, such as depression, make a lot of sense. This is a big issue she’s facing and it can take a toll on her. Others occur because of the changes her brain is experiencing. Your senior’s brain isn’t working the same way that it did in the past. This can be confusing and upsetting for her and for other people in her life. When your elderly family member is feeling as if her life and her health are out of her control, she might be more anxious or more irritable. It’s a coping mechanism. Alzheimer’s disease can make your elderly family member feel understandably angry, too. When she’s not able to do the same things that she’s done in the past, it’s natural that she’d feel angry about the changes she can’t control. Your elderly family member might also become angry when she can’t communicate to you what she needs, especially in the later stages of the disease. Your elderly family member might start to experience difficulty sleeping well and in later stages, she might experience sundowning. This is when your senior becomes more confused in the late afternoon and early evening hours. You can help her to manage those problems with a steady routine. 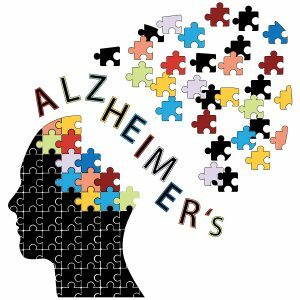 Alzheimer’s disease affects more than your senior’s memory. She may gradually be less able to communicate her needs and wants with you and this can lead to some restless behaviors. She may know that she needs to use the bathroom, for instance, but if she doesn’t remember where it is or how to express to you that she needs the toilet, she may start to pace or wander. In later stages of Alzheimer’s disease, your elderly family member may experience anger and frustration but be unable to express it in a way that makes sense to you. Instead, what you might experience could be verbal or physical outbursts that are shocking because you’re not aware of what’s behind them. Your senior might also start to see or hear things that aren’t there. These hallucinations feel very real to her and there may not be anything that you can do to dissuade her from believing that they’re true. Delusions are another potential issue, in which your elderly family member begins to believe certain things are true. They may seem paranoid to you, but they make sense within your senior’s brain. Dealing with these types of behavioral changes in your elderly family member can be really difficult. Homecare providers can help you to understand what’s happening and learn techniques that allow you and her to cope a little bit better. Homecare providers can also help you to structure your senior’s day to minimize these issues as much as possible. If you or an aging loved-one are considering Homecare Services in East Cobb GA, please contact the caring staff. Email: info@realmccoyhc.com • Phone 404-536-1060. The Real McCoy Home Care is your locally owned and managed in-home, non-medical home care agency. Serving North Metro Atlanta.